Front Street Surgery is part of the Improving Access to General Practice scheme. This is in addition to the early morning and evening appointments that we already offer within the practice. If you require a weekend or evening appointment, our reception staff can book you into one of these clinics. The clinics are based at other practices in and around York. The practice will shortly be piloting an online consultation service, which you will be able to access via your phone, tablet or pc. Our aim is to go live with this service on 14th March 2019. You will soon be able to consult with us online, initially with one of our GPs, 3 days a week (Monday, Tuesday and Thursday). This could save you time and a journey into the practice. The service is free, safe and completely confidential. Using online consultation makes it so much easier for us to quickly decide how we can best help you with the least amount of disruption to your day. 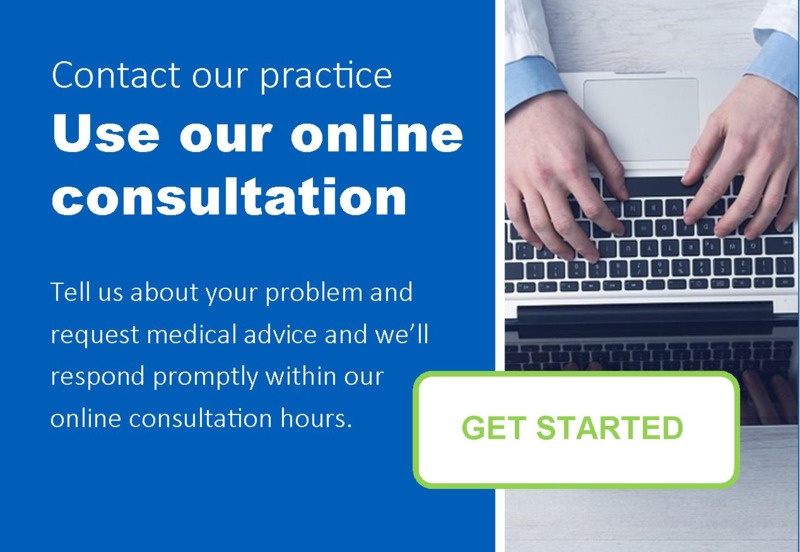 We can call you back, usually that day, if a request is received within the Online Consultation request times to provide advice, prescribe, or arrange for you to see a clinician, if the GP feels that is necessary. You will also have access to reliable and trustworthy self-help generic information 24 hours a day, 7 days a week which may help you to avoid an appointment altogether. If the GP feels you need an appointment, the practice already has your history so we can make best use of the consultation time. You benefit from the convenience of access to advice, timely treatment and save time and an unnecessary journey, or time off work. You can use the online services buttons at the bottom of this page or under the Further Information heading on the right hand side of the page to book or cancel appointments, request medication etc. You can now make a self-referral to the service by visiting www.yorkandselbyiapt.co.uk. Alternatively you can make an appointment with your GP who will be able to discuss with you how you are feeling and if necessary refer you to the service or a suitable alternative. When you phone the surgery, please be prepared to answer a few questions so that we can make sure the most appropriate member of the team helps you. Please note, however, that due to medico-legal reasons we are unable to take prescription requests over the phone. A doctor will then decide whether it is appropriate to prescribe the medication or whether you need to be seen or need a phone call. We now have a system of holding a patient's annual review in the month of their birthday. Please remember to make your review appointment. We have a touch sensitive check in screen near the front door at our Acomb surgery to enable you to avoid waiting and quickly check in for your appointment. The telephones are unmanned between 12.30pm and 1.30pm Monday to Friday. This is to allow the reception staff time to undertake other important administrative tasks to ensure the smooth running of the practice. The surgery itself remains open during these times. If you require a doctor in an emergency between 12.30pm and 1.30pm please telephone 01904 721938. There is good access for the disabled to all of our consultation rooms at Front Street Surgery which are on the ground floor. Disabled patients are welcome to use any of the available spaces in the surgery car park. The surgery has wide doors to allow for wheelchair access. All patients at this practice are allocated a named GP. You are still welcome to book appointments with the GP of your choice, subject to their availability, but your named GP is responsible for your overall care. Please ask at reception if you would like to know who your named GP is. YOURPHYSIO is the NHS Physiotherapy website for the Vale of York (York, Selby, Malton) and the East Riding. The aim of the website is to provide help and information to assist you in the early management of common injuries and pain problems. We also offer detailed guidance on living with a long term condition such as osteoarthritis. The second aim of the website is to promote and support long term musculoskeletal health. You will find lots of information and resources on the website to help you get and stay active, stay healthy at work, and manage your physical health alongside your mental health.